This week I went several times to the fun fair in my home town and noticed that I’m having problems putting a quick sketch on paper. 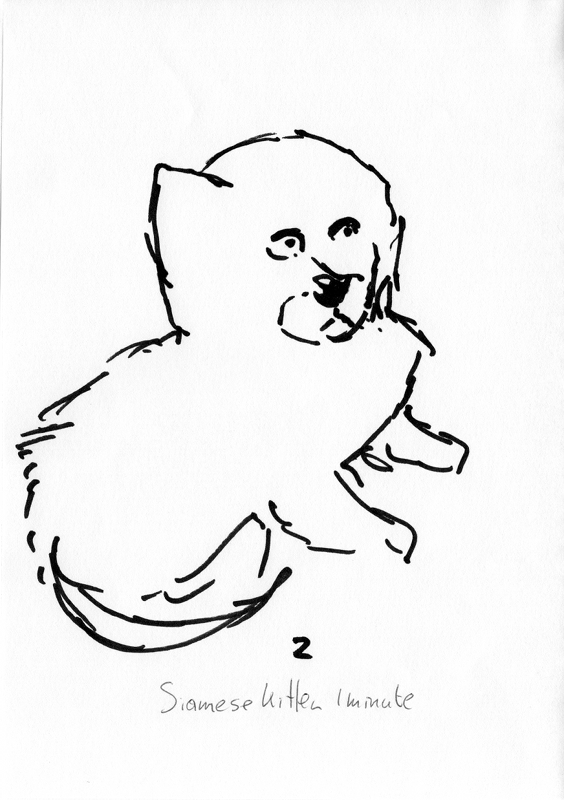 To both test this assumption and start remedying a possible deficiency in my art skills, I did six 1-minute and two 2-minute sketches. 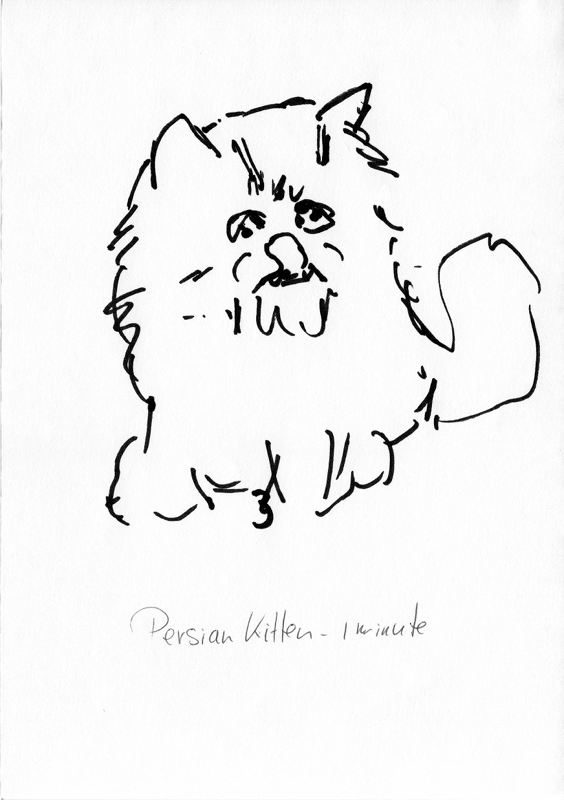 The 1-minute sketches were photos I found via Google Image search of a Persian and Siamese kitten. 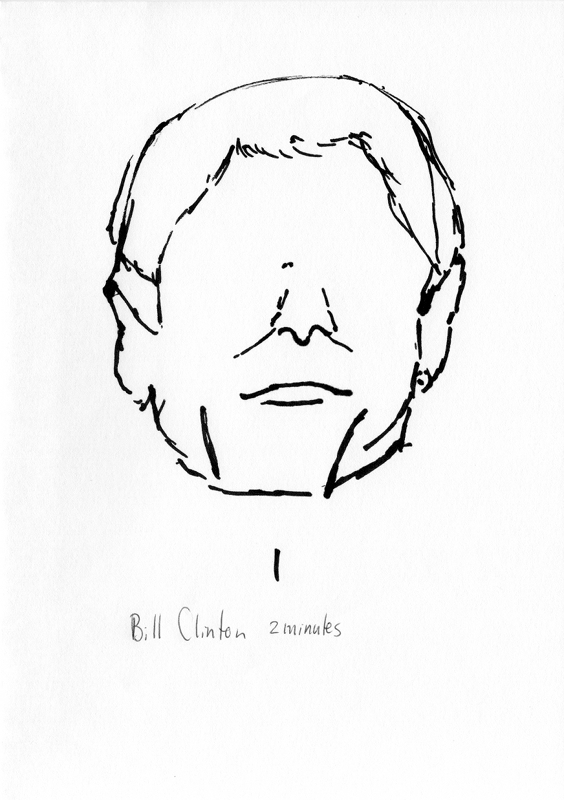 The 2-minutes sketches was of former President of the USA, Bill Clinton. 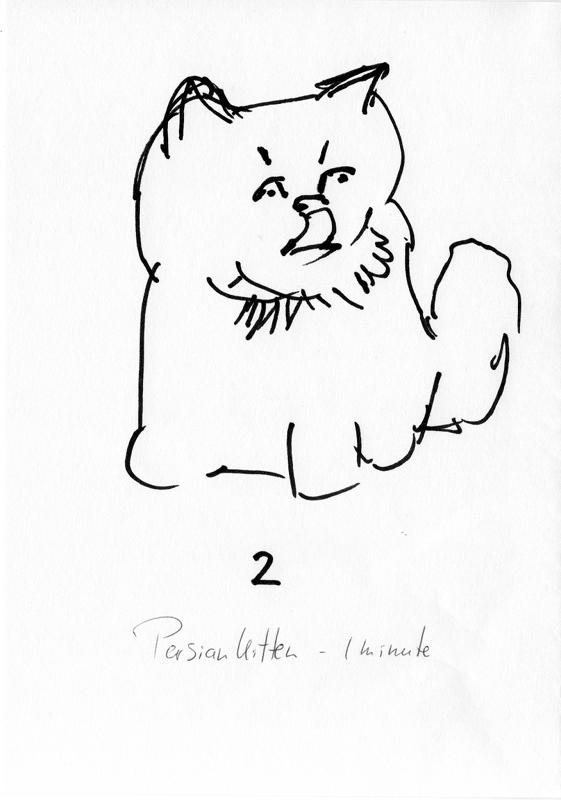 Here are the kitten sketches. 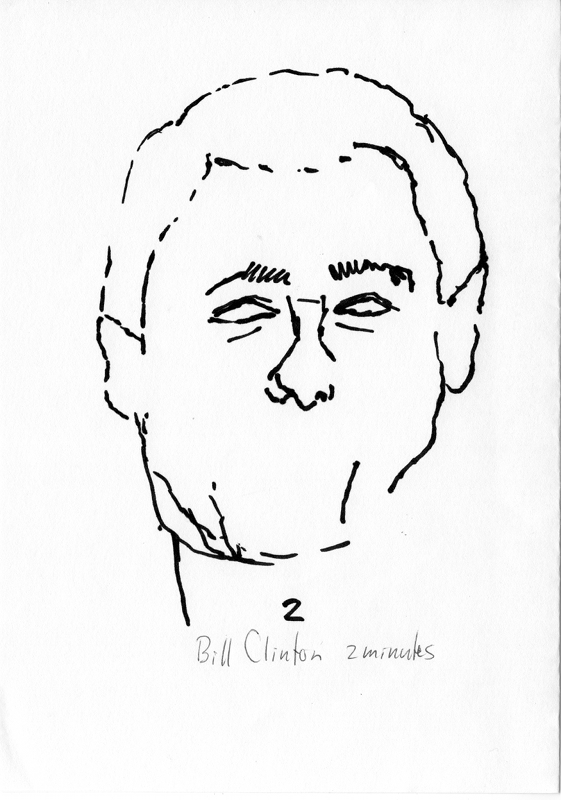 Here’s my attempt at Bill Clinton. 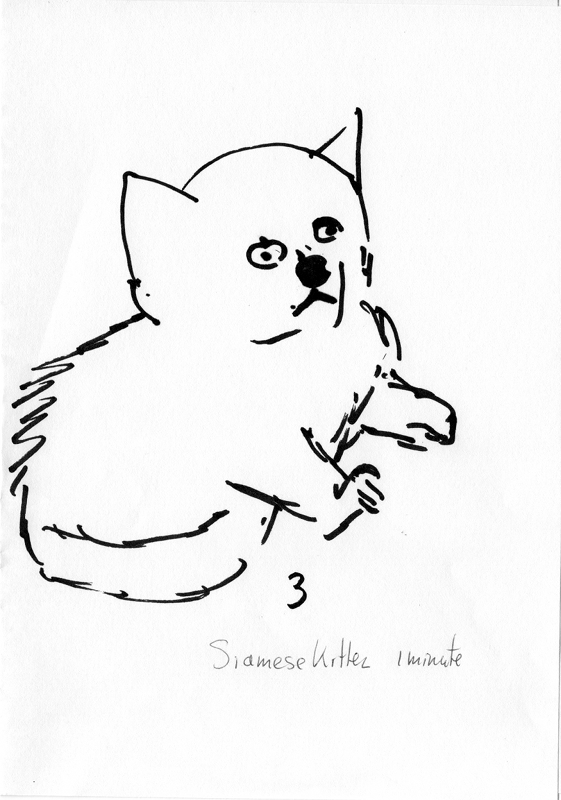 Especially the Bill Clinton sketches showed me I need to speed things up. 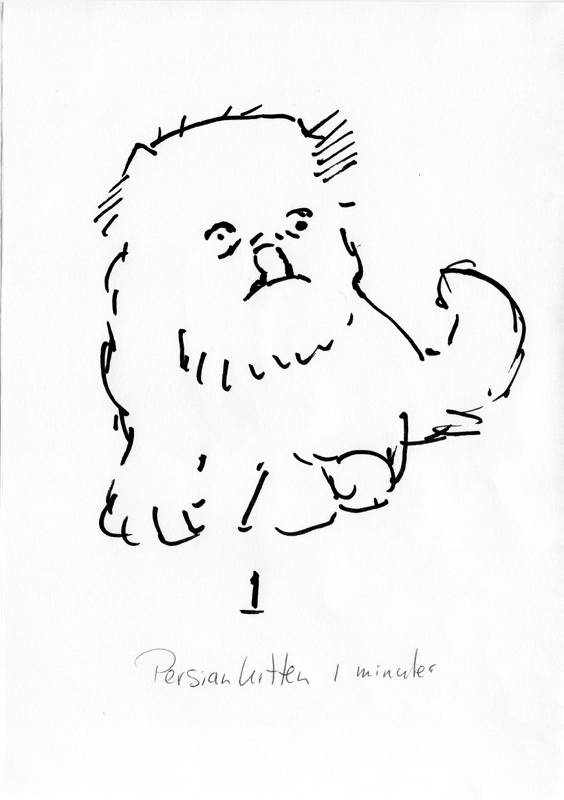 I used a felt pen marker on folded copier paper (A4 format unfolded). I guess I need to fold this in my daily routine of artistic endeavors, together with a warm-up sketch and a writing exercise. 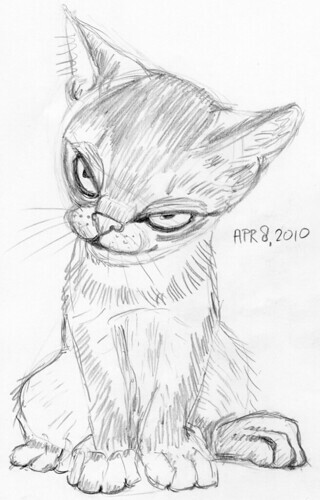 This time I went a bit further on the cartoony side of cat drawing. 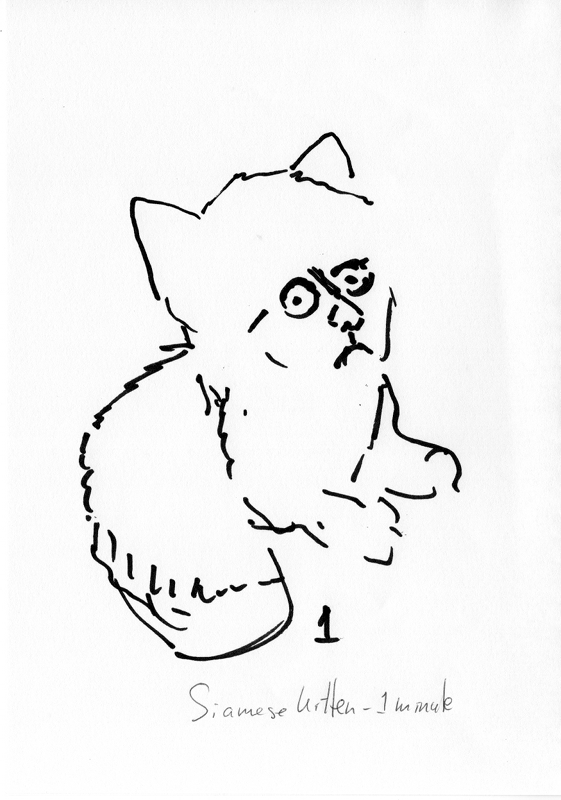 It still has much of the features of the Abyssinian kitten in the reference photo, but with other proportions. And yes, it’s April 9, not 8. I’m just good with dates. Sorry.